Helen Hotze Phillips, 92, of Ewing, passed away Friday, January 25, 2019, at the Care Center at Kenton Pointe. She was the widow of Joseph Clayton Phillips. Born in Maysville on July 11, 1926, she was a daughter of the late John Adam & Lillie Rose Hotze. 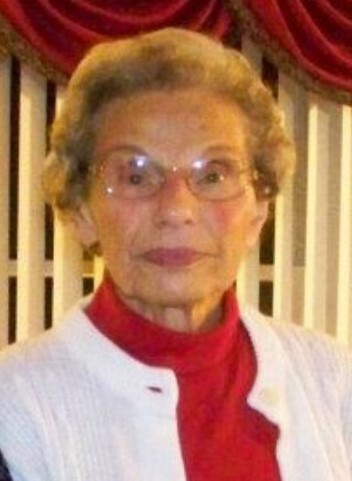 Helen was an avid UK fan and loved being around her grandchildren and great grandchildren. She was a member of Mt. Pisgah Baptist Church. She is survived by her daughter, Pamela J. Bryant and husband Gene; her grandchildren, Josh (Jessica) Bryant and Jeremy (Jennifer) Bryant; and her great grandchildren, Haley Bryant, Allison Bryant, Connor Bryant, and Alexander Bryant. In addition to her parents and her husband, Helen was preceded in death by her brother, Raymond Hotze; and her sisters, Mildred Hotze and Vivan Hotze. Service will be 1 p.m., Tuesday, January 29, at Boone-Nickell Funeral Home with Rev. Todd Wiley officiating. Helen will be laid to rest in Hillcrest Memorial Gardens.